Occupational therapy provides patients in need with the guidance to be able to do everyday tasks. Occupational therapists work with children, adults with disabilities, and the elderly to empower each of them to do occupational tasks in order to get them through their day. Taking a therapeutic, holistic approach, occupational therapists help people regain their capabilities, or develop them in the first place. If you enjoy helping others, a career in occupational therapy may be for you. Though this discipline is rooted in a deep understanding of psychology and physiology, a career path to Occupational Therapy may be shorter than you think. Occupational Therapy Assistants need only an associate’s degree and 16 weeks of fieldwork to begin their careers. Being one of the top twenty highest paid occupations that requires the highest level of education to be an associate’s degree, becoming an occupational therapy assistant can be a stable career to pursue. To begin your studies, it can be helpful to take classes in high school such as biology and psychology. With your high school diploma or equivalent, you can enroll in an occupational therapy associate degree program, which is offered at Eastwick College. It can be helpful to volunteer in a healthcare setting to gain some experience and see how you enjoy the work environment. During your studies, you’ll be expected to complete 16 weeks of field experience. Eastwick College also prepares students for the national OTA certification exam, administered by NBCOT. Upon successful completion, students become certified occupational therapy assistants. In New Jersey, the average salary of an occupational therapy assistant is $67,450. According the Department of Labor, employment of occupational therapy assistants is projected to grow 29% between 2016 to 2026, which is promising. For reference, total growth in that period for all occupations is around seven percent. 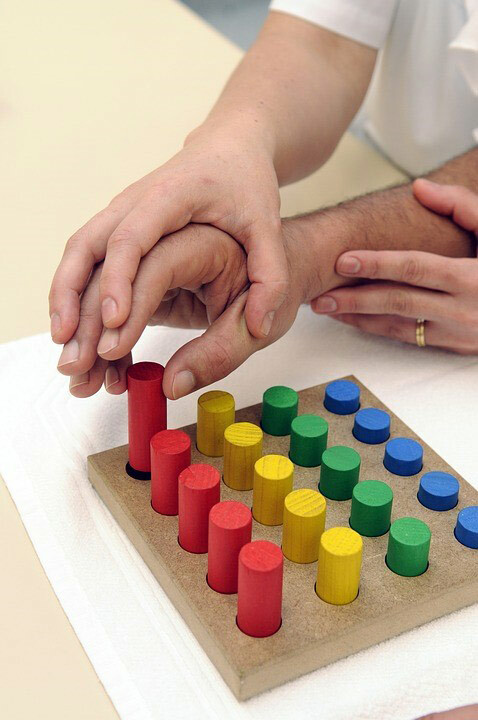 Occupational therapy assistants help patients in their therapeutic exercises to aid them in the development of skills. To start, the occupational therapist evaluates each patient and develops their treatment plan. The occupational therapist assistant then puts those plans into action by teaching individuals how to overcome the obstacles presented by injuries, illness or disabilities from performing daily tasks. Occupational therapy assistants might work in hospitals, rehabilitation centers, homes, schools, private practices and nursing homes. Learn more about the Occupational Therapy Assistant associate’s degree offered at Eastwick College.